Rajkummar Rao is reduced to wear a weird wig and scream and shout. It’s a pity how his talent is wasted. If not for anything, go in for the laughs. In short, a big disappointment for all who love good dramatic love stories and were expecting a good emotional drama from the Bhatt camp. Hamari Senti Kahani is the perfect movie for creepy stalkers and lover-boys. Watch this one if you are moved by sad love stories. The good performances are an added bonus. 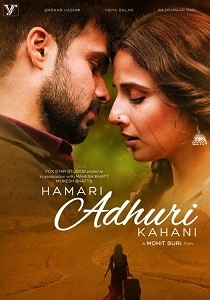 Hamari Adhuri Kahani is watchable, but it is not likely to ignite a passionate fire in your heart. 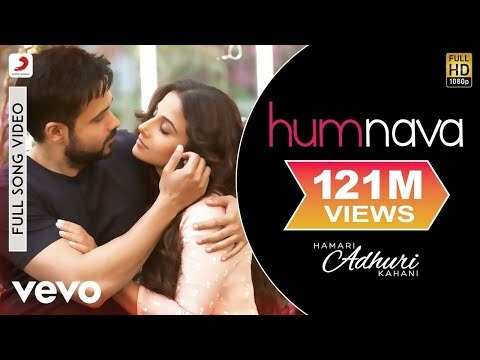 Hamari Adhuri Kahani is a cheesefest. Vidya Balan and Emraan Hashmi love story regresses into far too many Bollywood cliches. 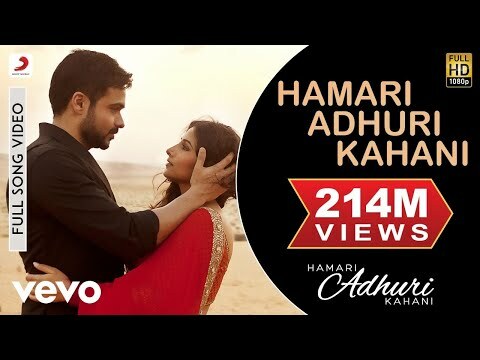 Hamari Adhuri Kahani is un-settlingly boring and far from anything that can be termed as timeless romance. Humari Adhuri Kahani stands true to the filmmaker's attempt at this film. It's nothing but a half baked, empty film with gigantic proportions of cheesiness! 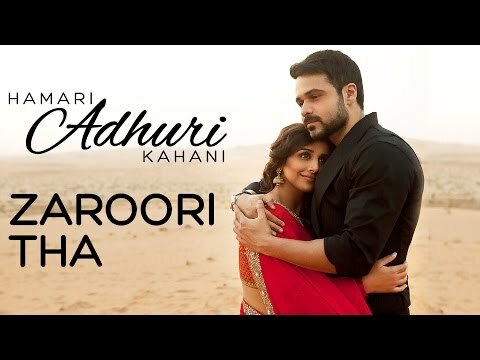 On the whole, HAMARI ADHURI KAHANI is definitely very 'adhuri' on entertainment value and can be skipped. On the other side, Emraan’s role is limited and has nothing to do with the film. Raj Kumar Rao is the only hope to lift up the film, as his character is perfectly portrayed. Rest other characters are found satisfactory.
'' Clearly, this is a bad choice of selection yet again by Vidya. After KAHAANI, why an Aadhuri Kahaani? Stale as stone age aloo puri.. The much dependable Mohit Suri (Ek Villain, Aashiqui 2, Murder 2) makes us worry. 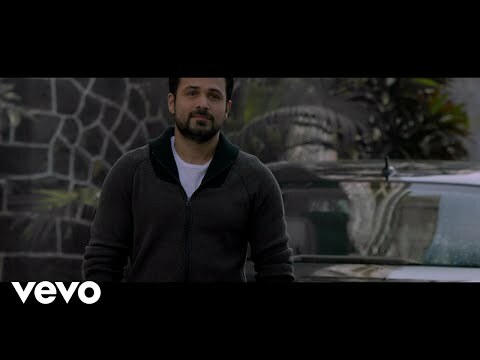 Mohit’s ‘Hamari Adhuri Kahani’ a borrowed line from the song ‘Bheegi Bheegi’ from Emraan Hashmi starrer ‘Gangster’ (2006) is a banally cooked love curry that reduces the exceptional talents of Vidya Balan, Emraan Hashmi and Rajkummar Rao to a vada pav.. how how..
बीते एक जून से सर्विस टैक्स भी बढ़ चुका है. लिहाजा टिकट के दाम आसमान छू रहे हैं. ऐसे में अगर आपको 'पैसा वसूल' फिल्म की तलाश है तो बेहतर है वीकएंड का कोई और प्लान बनाइए. There is a lot of pain in the movie. So much pain that I felt it. In my head. The kind of pain that the entire strip of Panadol won’t be able to fix. My temples are still pounding. The ‘timeless’ love story may not pine and involve the audience, but those who have loved and lost may connect with the movie at some level. Director Mohit Suri tries to deliver a mature love story on the lines of 'Silsila', 'Kabhi Alvida Na Kehna' but faisl big time. Lack of chartbuster songs and jaded casting hurt him badly. Without hit songs even he is not the same director.